Any equality, diversity and community cohesion policy in schools should cover all these areas and will make sure that pupils are prepared for life in a diverse and multi – cultural society. The Race Equality Policy should be distinct but should also be a component of a school’s Equality, Diversity and Community Cohesion Policy. Schools have a duty to assess and monitor the impact of such a policy on pupils, staff and parents (in particular reporting on how this impacts on the attainment levels of pupils from different ethnic groups); they should also publish annually the results of monitoring and assessment. All schools and educational establishments are required to record racist incidents and to report them to the local education authority on a regular basis. Ofsted will inspect and report on whether schools are meeting the general and specific duties. A cohesive community includes all types of communities, i.e. the school and its extended community, the community in which the school is located, the community of Britain, the global community, and communities of interest (e.g. environmental groups or faith groups) communities of friends. • Close the attainment and achievement gap. 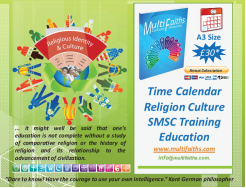 • Develop common values of citizenship based on dialogue, mutual respect and acceptance of diversity. • Contribute to building good community relations and challenge all types of discrimination and inequality. • Remove the barriers to access, participation, progression, attainment and achievement. The DCSF suggest schools’ contribution to community cohesion can be grouped under the three following headings: Teaching, learning and curriculum – to teach pupils to understand others; to promote common values and to value diversity; to promote awareness of human rights and of the responsibility to uphold and defend them; and to develop the skills of participation and responsible action. Community Cohesion is a new duty for schools to address. Further details of the requirement and ways in which some schools have approached this issue will be posted as soon as the material becomes available. The site below is the Local Government web-page for community cohesion. It gives guidance for this new legal obligation. How can schools contribute towards community cohesion? 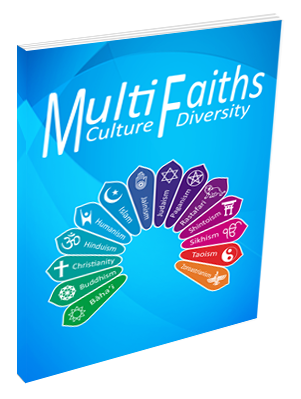 The guidance explains how every school will make an important but different contribution to community cohesion, depending on a range of factors including the nature of the school's population and the location of the school. Helping pupils to learn to understand others, to value diversity whilst also promoting shared values, to promote awareness of human rights and to apply and defend them, and to develop the skills of participation and responsible action. To ensure equal opportunities for all to succeed at the highest level possible, striving to remove barriers to access and participation in learning and wider activities and working to eliminate variations in outcomes for different groups. To provide reasonable means for children, young people, their friends and families to interact with people from different backgrounds and build positive relations: including links with different schools and communities and the provision of extended services with opportunities for pupils, families and the wider community to take part in activities and receive services which build positive interaction and achievement for all groups. Equity and excellence – to ensure equal opportunities for all to succeed at the highest level possible, removing barriers to access and participation in learning and wider activities and eliminating variations in outcomes for different groups. Embedding Equality in Schools - Schools need to ensure that equality is embedded in all of the school’s policies and practices, so must: • Produce a written race equality policy identifying action to be taken to tackle discrimination and promote equality and good race relations across school activity. • Assess and monitor the impact of race equality policies on pupils, staff, and parents, in particular the attainment levels of pupils from different racial groups, and take such steps as are reasonably practical to publish the results of this monitoring annually. • Record racist incidents and report them to the local authority on a regular basis. • Ensure admissions and operation procedures are fair Schools must not discriminate against pupils in admissions or in their day to day operations, such as in the allocation of pupils to particular classes. This information would refer to the wider community e.g. Bradford as well as the local community around the school. This section should help schools implement their policy in a way which is meaningful for their setting. For example, if there is little linguistic diversity in a school, this should be made explicit and a statement relating to the school’s approach to linguistic diversity might emphasise the school’s commitment to enriching the linguistic experiences of all pupils and to recognising and celebrating the linguistic diversity of British society. This should set out the school’s aims, to provide equality and excellence for all in order to promote the highest possible standards, stating the core values as expressed in the school's aims or mission statement. It should make clear the school’s commitment to ensure a culture of respect for others, to recognise and celebrate differences and commonality between people and to build a community where pupils are well prepared for life in a diverse, multicultural, pluralist society. The school’s approach to promoting equality diversity and community cohesion - This section should make clear how a school pursue its equality duties to eliminate unlawful discrimination and harassment, and promote equality of opportunity, good relations and positive attitudes between people of diverse backgrounds in all its activities. It should make clear that no pupils, staff, parents, guardians or carers or any other person through their contact with the school receives less favourable treatment on any grounds which cannot be shown to be justified. This covers race, ethnic or national origin, language, religion or belief or any other aspect of diversity. The principles of the policy should apply to all members of the extended school community, pupils, staff, governors, parents and community members. Roles and responsibilities - A school should make it obvious in its policy that all who work in the school have a responsibility for promoting equality and inclusion and avoiding unfair discrimination. It should state the specific responsibilities of the members of the school community. • Promoting equality and good race relations and avoiding discrimination against anyone for reasons of race, ethnic or national origins, language, culture, religion, belief, disability, gender, sexual orientation, or social class. • Ensuring that they are familiar with the law on discrimination. • Demonstrating a zero tolerance towards all forms of discrimination and racism. • Using their ‘student voice’ through working with staff to develop policies relating to this area, for example an anti-bullying policy/anti-racist bullying policy and procedures or school/class rules which challenge discriminatory behaviour. • Keeping equality and diversity issues on the School Council agenda. They will report to named governor who will have responsibility for equality, diversity and community cohesion. Auditing, monitoring, reviewing and assessing impact - The school policy on equality, diversity and community cohesion should be linked to the school self audit of its effectiveness in promoting these areas in school, the development plan and include targets determined by the governing body for promoting equality, inclusion and a cohesive community in the school. The policy should state how it will be monitored and reviewed by staff and governors to ensure it’s effectiveness in eliminating discrimination, promoting access and participation, equality, good relations between different groups and community cohesion. Any inequality found as a result of impact assessment should be used to inform future planning and decision-making. The Head teacher should provide monitoring reports for review by the Governing Body. These should refer to the school population, key initiatives and progress against targets and future plans.